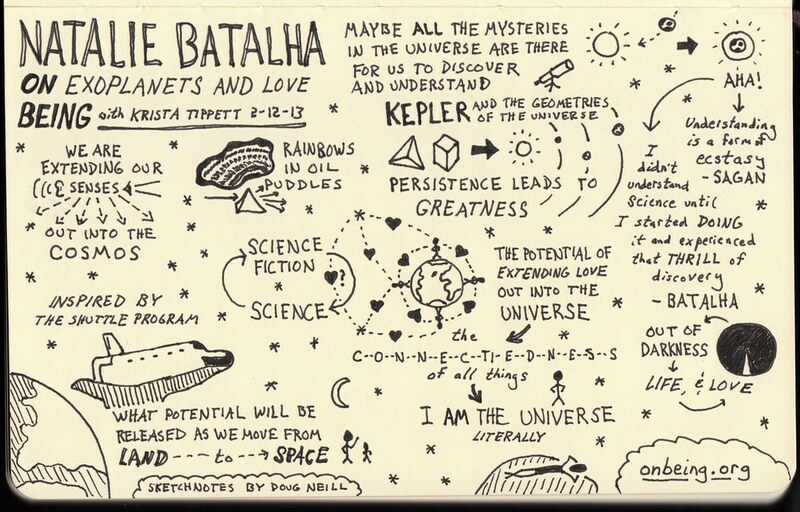 A recent podcast interview from the On Being blog, an interview with NASA Ames astronomer Natalie Batalh on exoplanets, science, beauty, and more. Fantastic! See http://www.onbeing.org/program/on-exoplanets-and-love/5029 for more information. And there are lots of other great podcasts and materials on this site. This site is worth your time and attention to explore.